Does Commercial Auto Insurance Include Collision Coverage? Home > Blog > Does Commercial Auto Insurance Include Collision Coverage? The investment in commercial auto insurance tends to be comprehensive. That is, it works to protect your business vehicles from most types of losses. These policies combine a number of features to provide the best level of protection for needs such as collisions. Take a closer look at your policy. Then, consider a few key features of it. Collision coverage is a term applied to personal insurance policies. In these policies, consumers can pick and choose from the features they need. 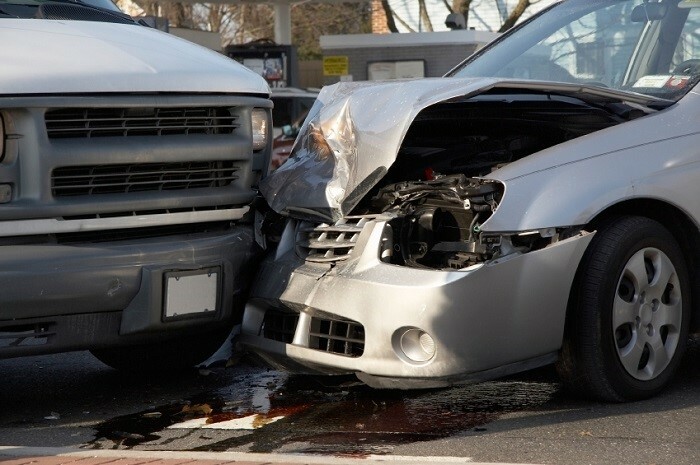 Collision insurance provides protection for specific losses in which the driver collides with or hits another object. In general, most commercial auto insurance policies have this type of protection built into them. You may not need to obtain an additional policy. Most commercial policies cover all physical damage and collisions. This includes instances in which the car suffers damage from non-accident related losses. This includes fires, storm damage, vandalism, and theft. It also includes instances in which your driver strikes another person or type of property. Commercial auto insurance provides more than this. The policies also include a liability component. This includes coverage for instances in which your driver causes damage to another person or another person’s property. It can help pay for any liability losses. This includes legal expenses, attorney fees, and settlements you must pay after a judgment. In addition, these policies typically include medical payment cover. This helps provide protection from losses suffered by passengers in the vehicle. For example, if a passenger suffers injuries, this component of the policy covers those losses. These policies also include uninsured motorist protection. If another person causes damage to your vehicle but does not have proper insurance coverage, this policy applies. It can help protect your investment. It is important to work with your insurer to ensure you have the proper amount of coverage in each of these areas. Many companies should consider liability insurance carefully. Be sure you have enough protection for the typical amount of damage your vehicle can create. Your agent can help you with this. In most cases, the law requires you to carry this coverage. Therefore, check and double-check it. Work with your Louisiana business insurance agent. Develop a comprehensive policy that addresses all of your risks. Commercial auto insurance should always offer a wide range of benefits to you. And, it should fit the value and risks your vehicle or vehicles suffer.